Info-Maison Bardagi.com/1949 Beautiful unit close to Udem, HEC and Félix-Leclerc shool, facing Mahatma Ghandi park and Chateaufort garden. Very bright 3 sides corner unit with unobstructed view. 2 bedrooms, spacious living room, kitchen open onto the dining room. Parking space. No possible occupancy. Investor only. Second floor: Spacious and bright living room with south-west oriented balcony access. Central dining room with entrance closet and laundry space closet. Kitchen open onto the dining room, with granite countertops, ceramic backsplash and double sink undermount. Large master bedroom with double closet. Second bedroom with simple closet. Family bathroom with whirlpool bathtub and glass separate shower. 8'5'' ceilings. 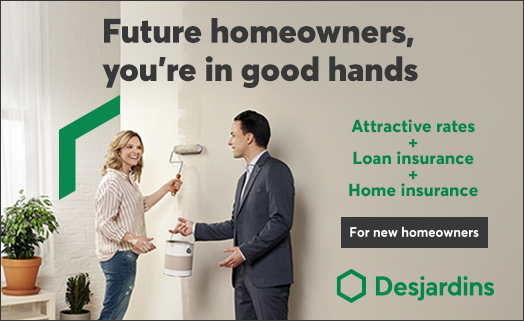 The acting notary will be chosen by the seller and the institution for the mortgage financing will be Caisse Desjardins. School taxe, municipales taxes, participation in the contingency fund, snow removal, landscaping, maintenance, electricity and heating of common areas, building insurance, management and administration fees. Net living area of 72.6 square meters as indicated in the certificate of location. The unit is currently rented $1,280/ month. For investors only. No occupation possible. Refrigerator, stove, fan/microwave, dishwasher, washer, dryer, light fixtures, blinds, rods. All of the above are included without warranty of quality.